The 2014 Public Records and Meetings Manual is available in PDF » and HTML format. The HTML version is accessed by the menu to the left and the links below. If you are a public employee or board member using the manual for public business, or if you are using the manual in connection with for-profit activity, we ask that you purchase a print version via our Publications Order Form (PDF) ». This Manual is organized in two parts: Part I discusses the Public Records Law; Part II discusses the Public Meetings Law. Each part is followed by its own set of appendices which include answers to commonly asked questions about the law, sample forms, summaries of court decisions, Attorney General opinions, and a reprint of the statutes. 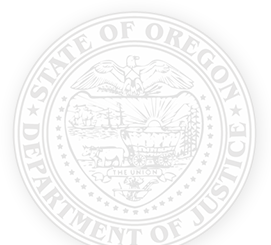 In August of 1973, just after the enactment of Oregon’s Public Records and Public Meetings Laws, the first Attorney General’s Public Records and Meetings Manual was published. Since then, successive versions of the manual have striven to illuminate, for citizens and government bodies alike, the requirements of Oregon’s laws related to public meetings and the disclosure of public records. Put simply, these laws establish a general expectation that Oregon’s government will be transparent to its people. Government records are available to the public, and governing bodies must conduct deliberations and make decisions in the open. This manual contains opinions of the Attorney General construing these requirements. Oregon’s Attorneys General have long recognized that this transparency is vital to a healthy democracy. Public scrutiny helps ensure that government spends tax dollars wisely and works for the benefit of the people. The legislature has recognized exceptions to the general policy of openness. For example, the law protects the privacy of citizens whose confidential records are held by the government. And the law protects public safety by exempting from disclosure documents that would reveal security measures and investigatory documents that could compromise criminal investigations if disclosed. One purpose of this manual is to identify the general exceptions that, in the legislature’s judgment, sometimes justify withholding information from the public. For more than four decades, the office of the Attorney General has striven to faithfully interpret the Public Records and Public Meetings Laws in a manner consistent with the fundamental premise underlying them. This means ambiguities in the law generally should be resolved in favor of the public’s right to information. When public bodies do have the authority to exclude the public from some types of discussions, or withhold certain records from public view, that authority is an exception to the general rule of openness. The scope of such an exception must be interpreted narrowly in order to preserve to Oregonians the power to understand and oversee the activities of their government. From time to time, the Attorney General reviews and updates this manual for consistency with legislative changes to the Public Records and Public Meetings Laws, recent appellate court decisions interpreting these statutes, and Public Records Orders issued by the Department of Justice. I hope it is helpful both to our client agencies and to other users. I appreciate your comments and suggestions. I gratefully acknowledge the contributions to this new edition of Assistant Attorneys General Michael Kron, Johanna Riemenschneider, and Sarah Weston; Department of Justice Legal Secretary Tonie Cotell; and Special Litigation Unit Law Clerk Shantel Chapple.